Apple could be planning to release a $799 MacBook Air that would be designed to combat new Ultrabooks launching in the coming months. The price is $200 cheaper than the current entry-level model based on Intel’s Core i5 processor, according to a new report from DigiTimes citing a source in Apple’s upstream supply chain. Last month, Intel’s general manager for PC client group Kirk Skaugen said that he believed we would see sub-$700 Ultrabooks in time for back-to-school sales. This would put entry-level Ultrabooks about $100 cheaper than today’s budget models although Intel may have a tougher time convincing buyers to purchase a new computer just months before Microsoft releases Windows 8. An $800 MacBook Air would be priced right alongside current-generation Ultrabooks. If Apple can simply slash the price of the current Air rather than release a new, stripped-down version then they stand an even better chance of steering potential customers away from Intel’s offering. A base model 11-inch Air ships with an Intel Core i5 clocked at 1.5GHz, 2GB of RAM and a 64GB solid state drive. The reduced-cost MacBook Air will be launched in the third quarter, lining up for a date with those heading back to school with the always-lucrative holiday buying season just a few months afterwards. 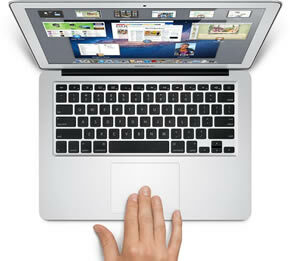 The source in question believes the strategy would damage Ultrabooks and allow Apple to maintain their advantage. That is, if this rumor turns out to be true and Apple actually delivers.